Meijer grocery stores do not cash checks. However, we found that about 60 percent of the Meijer locations we contacted have bank branches inside the store that may be able to cash a check for you. Banks inside Meijer are operated by Huntington Bank, U.S. Bank, and other local banks and credit unions. For more details on the Meijer check cashing policy, see below. Meijer does not cash checks, customer service representatives said. We contacted Meijer locations in Illinois, Indiana, Kentucky, Michigan, Ohio, and Wisconsin to find out about Meijer’s check cashing policy. All of the Meijer representatives we spoke to said the grocery store chain does not cash checks. While Meijer does not cash checks, some Meijer locations (about 60 percent of those we contacted) have bank branches inside the store — located near the front entrance. Branches inside Meijer stores are operated by the banks themselves, so check cashing policies will vary by bank. We identified several Meijer stores in Michigan that have Huntington Bank branches inside the store. We also found Meijer stores in Illinois, Kentucky, and Wisconsin with U.S. Bank branches located inside. A Huntington Bank representative told us that non-accountholders can cash checks for a $10 fee as long as you have a valid photo ID; for details on U.S. Bank’s check cashing policy, see our article. Other grocery stores that cash checks include Kroger and Walmart. For the complete list of grocery stores that cash checks, see our article. We also information on check cashing fees at PLS and United Check Cashing, plus a list of banks that will cash checks for non-accountholders. 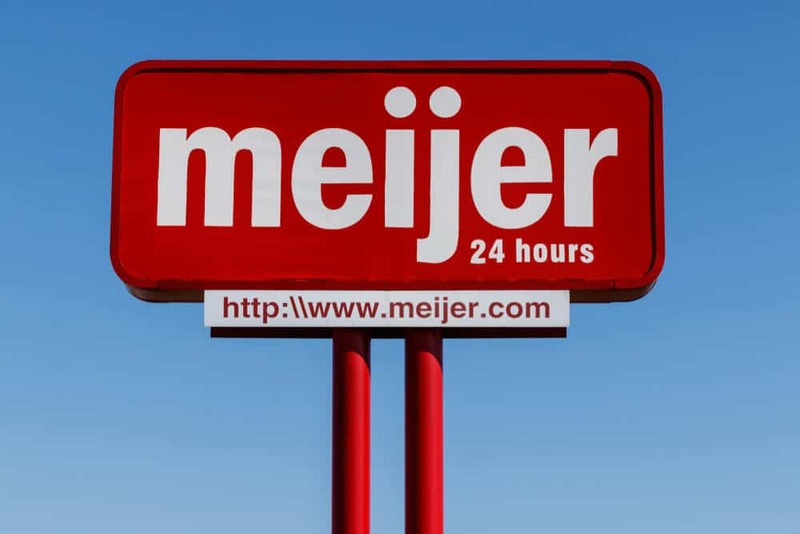 Meijer does not offer check cashing services, but some Meijer locations have bank branches inside the store that may be able to cash a check for you. Bank branches inside Meijer grocery stores are operated by the banks themselves and will follow their own check cashing policies.